Here are versions of the VERY GREATEST MUSIC (in our opinion), centrally from J. S. Bach, that can be adapted for the people’s instrument—alto recorder—and keyboard, for alto and bass recorder duet, and other combinations. Our promise: Recorder players will never in this website be at a loss for a challenge or for a high quality of music, at a low price. Ways of becoming acquainted with a wide swath of musical history, much of which is little known, such as Bach cantata obbligatos. Secondary emphasis on bass recorder repertoire, including solos without the sneaking suspicion that the alto is more appropriate. Don’t listen to great music and consider it done, but continue discovering it from the inside by playing it in transcription. Expand your recorder horizons! And of course, put these on your concert programs. Arrangements for alto and kbd. Arrangements for recorder duet/trio/quartet, etc. 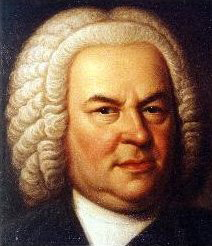 The sublime Bach’s Cantata 4/3, arr. for 3 recs. Like to subscribe to our new recurring newsletter?